Wide range of Low Power Instrument Transformers (voltage sensors, current sensor) and BPL couplers for Medium Voltage distribution automation. 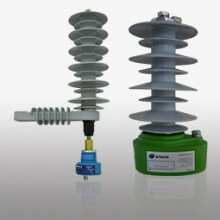 Arteche low power instrument transformers (LPIT, also known as sensors or transducers) provide a secondary signal proportional to the current and voltage primary values), according to IEC 61869-6, IEC 61869-10 and IEC 61869-11 standards. Intended to enhance MV grid visibility, they provide accuracy and reliability required by protection and meters devices (IEDs) to deploy advanced distribution automation functionalities, enhancing operation efficiency and automation capabilities in a cost-effective manner. 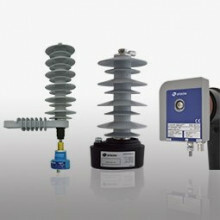 Our offering includes a wide range of voltage sensors, current sensors, PLC couplers and combined sensors designed to meet the requirements of all kind of medium voltage grids environments and project requirements, from overhead to underground distribution feeders, from retrofitting existing power lines to instrumenting new primary equipment and strategic grid nodes. With a compact design and free of onsite calibration, Arteche medium voltage sensors provide a reliable, accurate and maintenance-free operation during a long lifecycle. 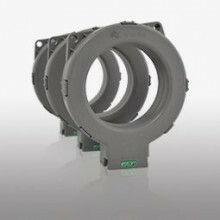 They are suited for MV distribution automation, enabling key functionalities like directional fault location (FLISR), Var/Volt measurement or load balancing in a cost-efficient and standard way.